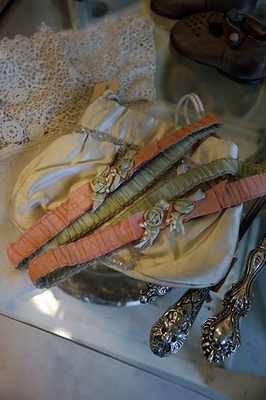 Beautiful rare antique silk garters with tiny silk roses and wax buds. These are só pretty! 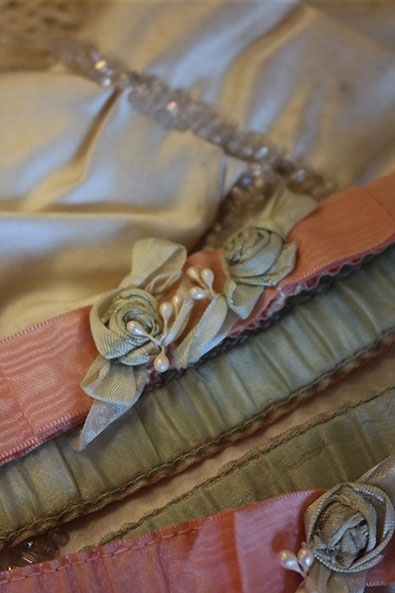 Made of old pink and soft green moiré silk, lovely colours, with tiny silk roses and white pearlescent wax buds. 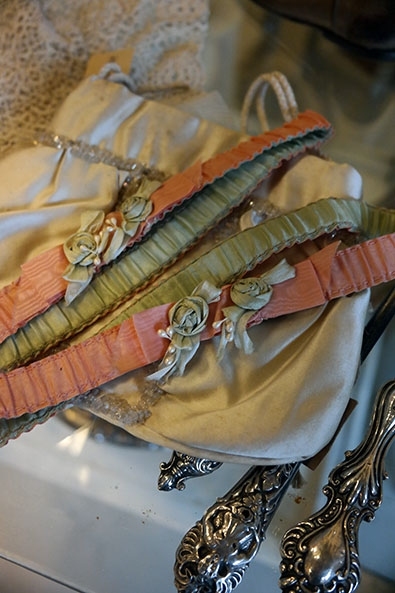 These garters date from the 1920's. They are in excellent pristine condition. The elastic does not stretch anymore, as is always the case with elastic this age. They measure approx 20 cms long (folded).